Why Is The Left Behind Series Bashed? 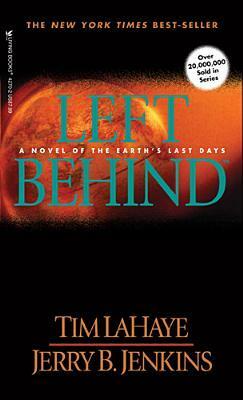 Left Behind is written from a particular Christian point of view. It is a pre-tribulation perspective. It holds that Jesus will come back to gather his people before the seven years of tribulation occur. Within the Christian family some people are mid-trib(ulation) and others are post-trib. The pre-trib camp is often found within the broader camp of dispensationalism. Dispensationalists believe that God has worked in different ways through different ‘dispensations’ through the ages. They stand in contradistinction to Covanental Christians. Is the Bible crystal clear which of these perspectives is correct? The fact we have different factions is testimony to the Bible not being clear on these issues. So, shouldn’t we just ignore our differences and carry on? I suggest a more authentic solution. Why don’t we just acknowledge our differences and walk together? Jerry Jenkins and Timothy LaHaye wrote a book based on their own theological interpretation of The End Times. It is a theological perspective I happen to agree with. Sound Bible scholars may come up with other visualizations of the End Times. They may write another book, perhaps it would be called ‘Enduring Tribulation.’ I might read it. I might not. However, for the sake of Christian unity, I would not want to make the authors look stupid. It is not a hill worth dying on. Of course, detractors should feel free to question and contradict others’ theology. It is not a major challenge to the essentials of the faith if the events of Left Behind do not unfold exactly like the novel. In fact, because of the criticism I have read recently, I think I might get myself the children’s version and read it to my kids.